A few years ago, I was able to fulfill a childhood dream of actually visiting the pyramids. I can truthfully say that the Egyptian pyramids were indeed AWESOME. as well as a number of lesser known sites of antiquity. immense public interest in Egypt. 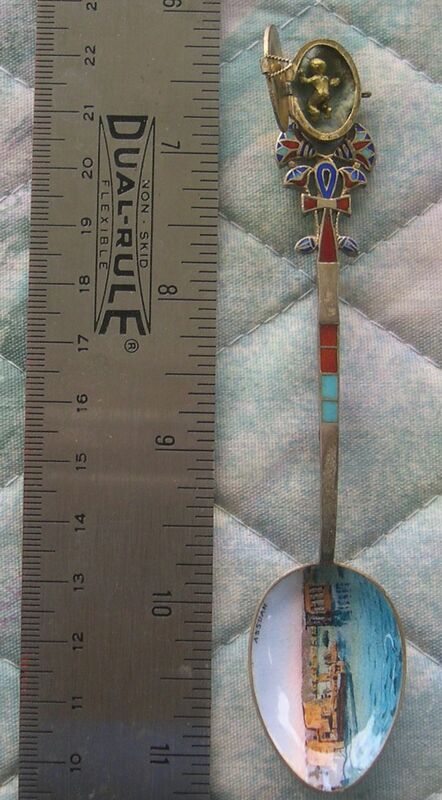 I suspect that this spoon dates from that era. At the finial is a blue 'death mask' of the Pharoah. I believe that it is carved from some type of soft rock mineral. 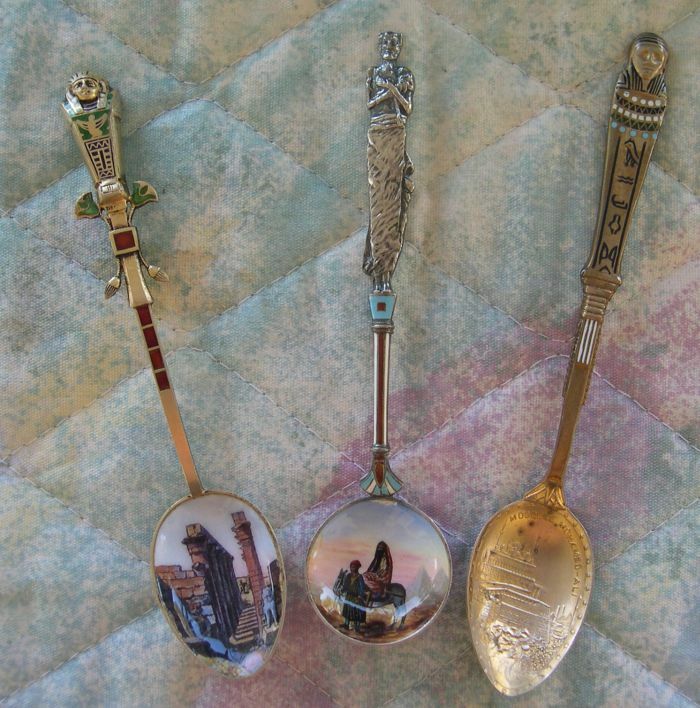 A number of different types of sarcophagus / mummy spoons are available. Technically the mummy is the dried body. Sometimes the sarcophagus opens on hinges to reveal a small silver mummy inside. 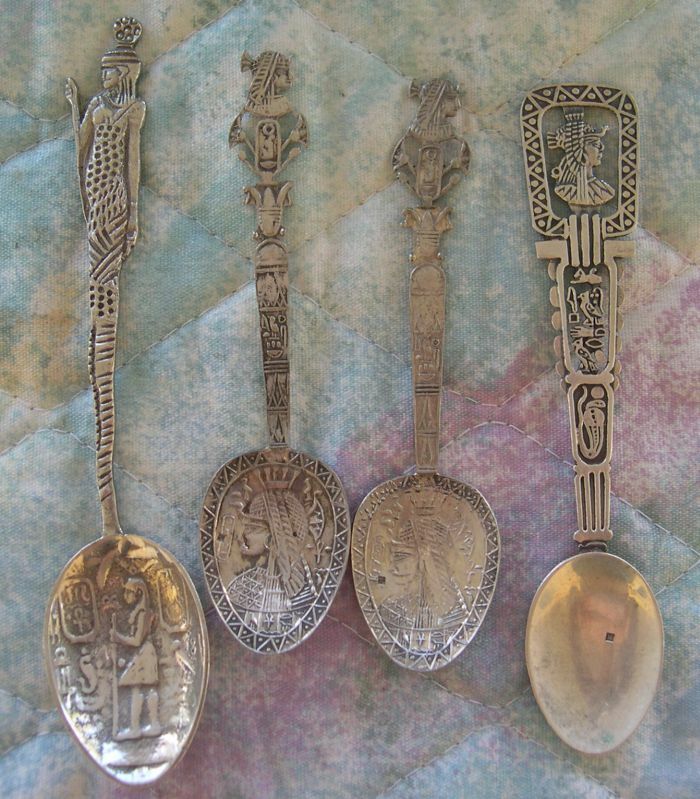 The last two spoons features some nice Egyptian silver work with cutout designs. I purchased them on my visit to Egypt. 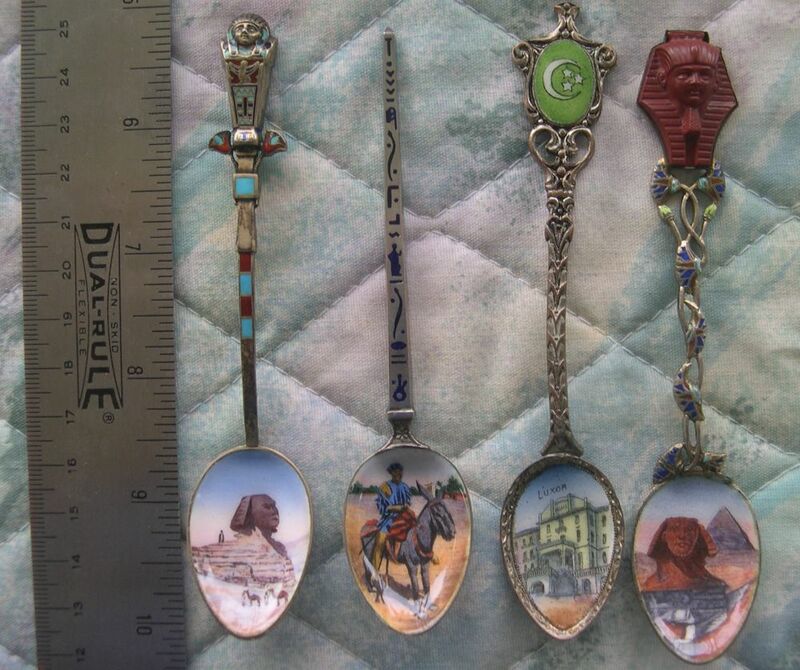 All these spoons also show a number of generic Egyptian images. Obelisks are huge stone monuments that are decorated with carved images. These are also amazing and are very tall. it in one piece without heavy duty equipment all those years ago. 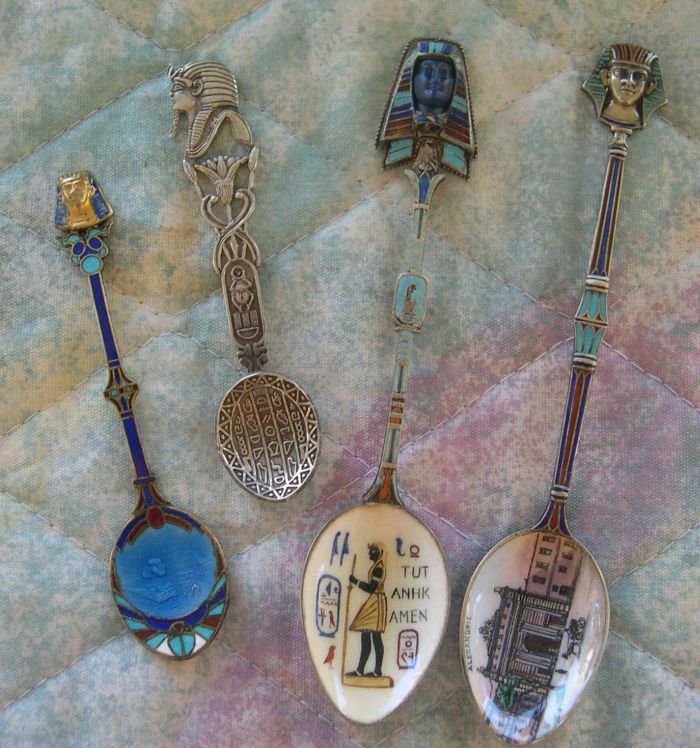 Most of these spoons show Hieroglyphic writing which is like a picture puzzle (rebus). If anyone wants to translate these, please let me know. These spoons have baskets at the finial. Based upon the Biblical story where Moses was placed in a basket and set upon the Nile River. These baskets are on hinges and they open to reveal a small baby Moses. 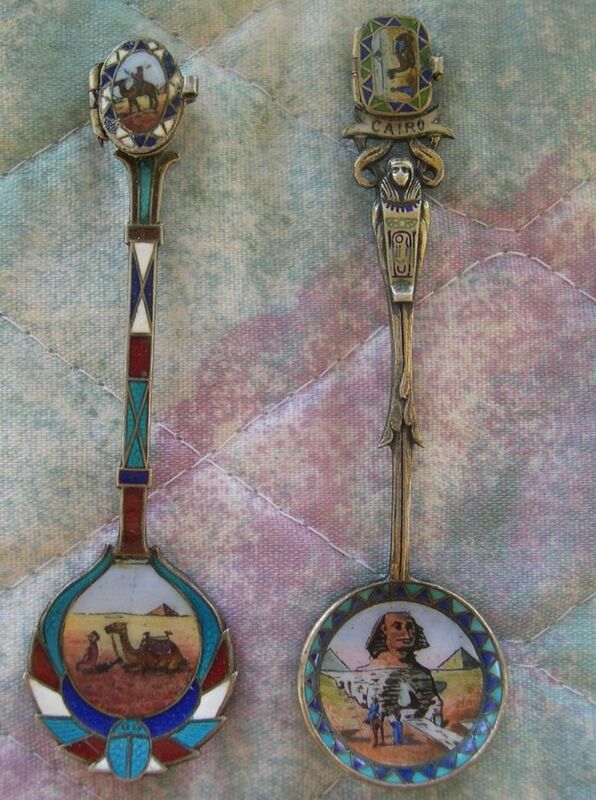 Nice basket spoon picturing the Aswan (Assuan) dam. 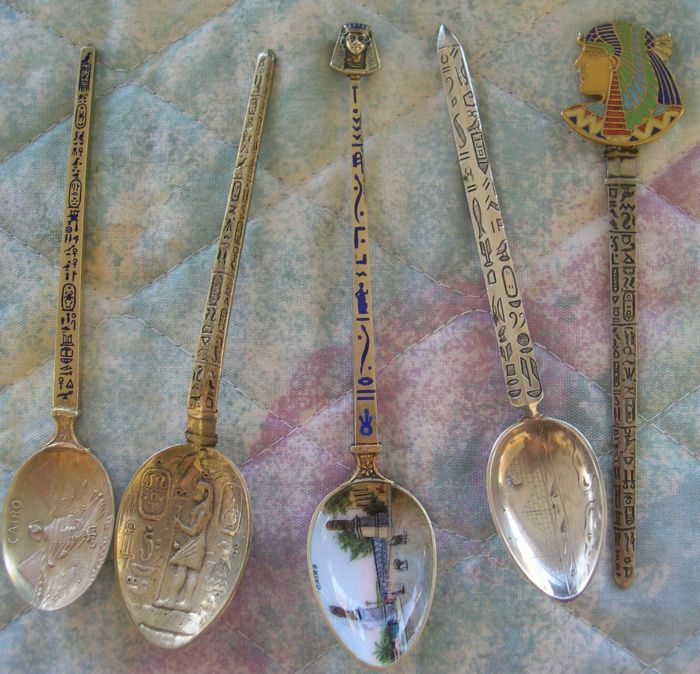 These spoons use a variety of Egyptian symbols. Most of us are familiar with many of these symbols since we have seen them repeatedly. The one in the middle is known as a Hamsa hand. The crocodile handle (#3) is cast and is of much lesser quality. 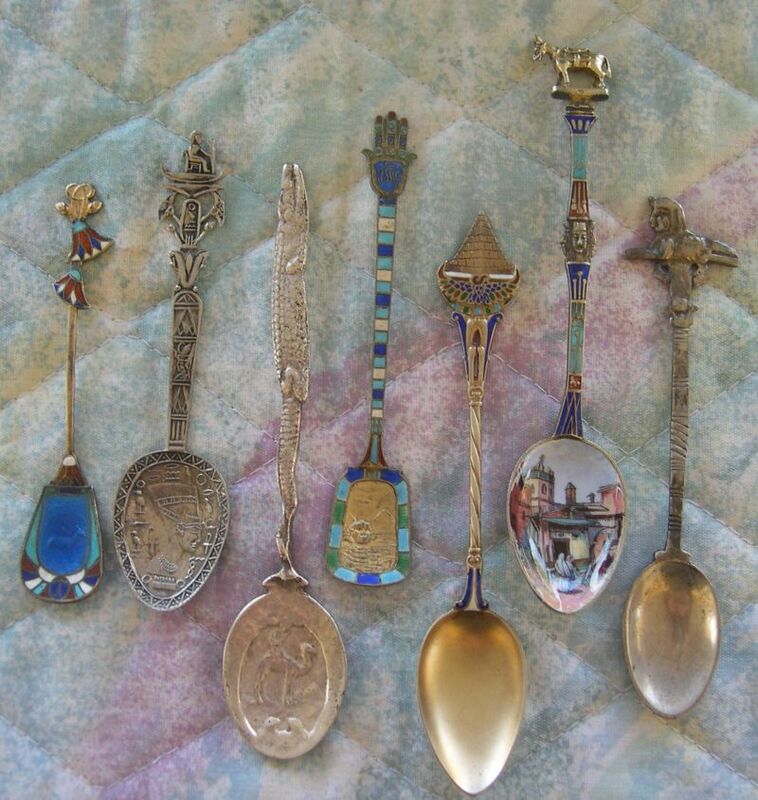 Most of the spoons pictured to this point have been 800 grade silver and some have gold plating and enamel work. 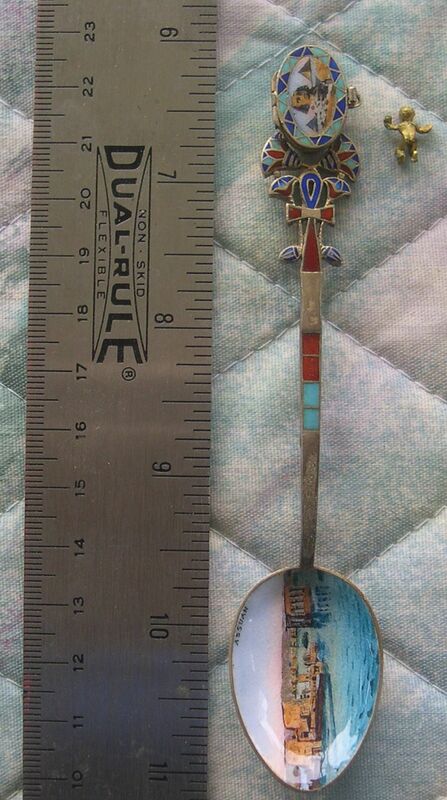 This is a pretty spoon, but it is NOT silver. 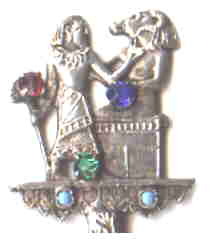 It was made in Czechoslavakia and sold into the tourist trade. It is of very low value. 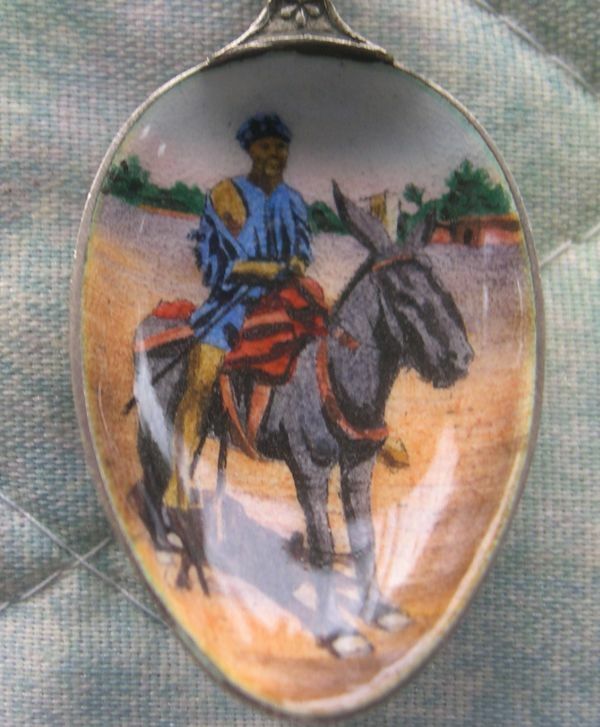 The finial has 5 colored stones mounted on it and the bowl is a pseudo Egyptian coin.